To answer some of the most common questions people ask us, we have put together the following guide for how to buy an engagement ring. If you are intending to surprise your loved one with an engagement ring, you may also want to read our Tips for Proposing. 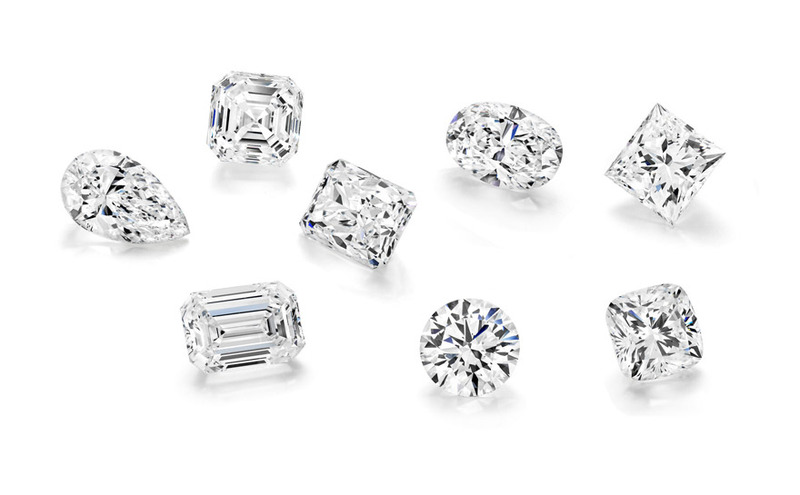 There is a lot of information to take in when buying a loose diamond and many choices to make. You will need to choose the shape, size, colour and clarity amongst other things. To guide you through these choices, please read our How to Buy a Diamond guide as well as the Learn About Diamonds section of this website. You are also very welcome to come in for an obligation-free diamond appointment where one of our expert jewellers can answer your questions and show you a range of loose diamonds to choose from. To help you choose a design, Larsen Jewellery has a wide range of engagement rings on display that you can try on to get an idea of what style suits your hand. Click here to view a selection of our engagement ring designs. You can either choose one of our many beautiful designs or you can combine individual design elements from various display rings. Alternatively, you can bring in your own ideas or pictures, and our jewellers can create sketches of various design options. One of the important aspects of the design is the type of setting. There are many different ways your diamond can be set, including claw, bezel, channel and pave settings. Click here to read more about different engagement ring settings. The most popular metals used for engagement rings are White Gold, Yellow Gold, Rose Gold and Platinum. These metals are all very durable and hence suitable for items of jewellery that will be worn for many years. The choice of metal is one of personal taste. 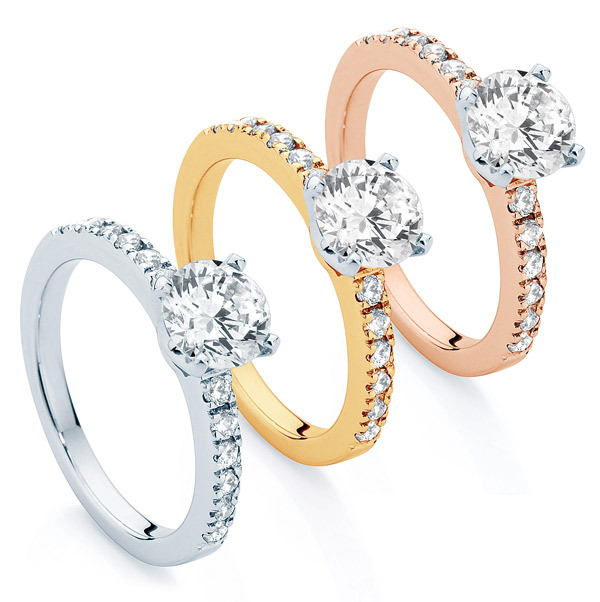 White Gold is the most popular choice at the moment, followed by Platinum, Yellow Gold and Rose Gold. Whilst White Gold and Platinum are two completely different metals, the appearance is virtually indistinguishable once White Gold is rhodium plated. Click here for a description of the pros and cons of Platinum vs White Gold. If you mostly wear Yellow Gold jewellery for example, a Yellow Gold engagement ring is likely to be the most suitable choice. If you wear a mix of metals, you could also choose to have the band in Yellow or Rose Gold and the setting in White Gold, ensuring the ring will go with any of your other pieces. At Larsen Jewellery we can make your engagement ring in your choice of metal, including all the designs shown in our picture gallery.